If this year’s NHK Kohaku Uta Gassen is a movie, it would top the boxoffice. If it were an album or single, it would top the charts. This year’s audience applications broke the 1 million mark and totaled 1,264,923. This year’s hosts are Arashi (second time) and howdoyouspellhername Inoue Mao (first time). 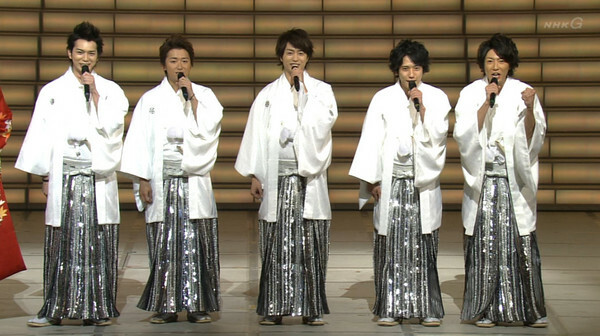 In 2009, when Arashi made its performance debut as part of the white team or shirogumi, requests reached 591,000. In 2010, the first time Arashi hosted, requests totaled 759,000. This was their 2010 performance, singing Furusato, an original composition written for them. Looking forward to this year’s show! 明けましておめでとうございます Akemashite omedetou gozaimasu!